This�4.5 oz. glass�rio�bottle is clear in color. It stands 4 1/4" high and is 2 3/4" in diameter. The opening is 3/4". 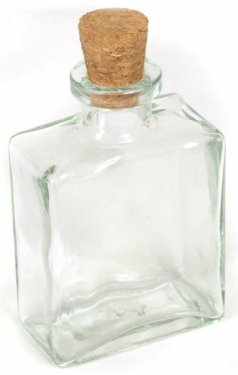 This�stylish�glass bottle is made from 40% recycled glass and is sure to match any decor. Cork included.